Why can’t we be best friends? – Where Is My Teaspoon? Why can’t we be best friends? Saturdays are made for listening to Taylor Swift and baking in our extremely messy kitchen. This Saturday seemed impossibly cold. We went out for dumplings and coffee (not in the same sitting) with our housemates and felt absolutely perished with the cold. When we came home, everyone else lied down and I shut myself in the kitchen for 3 hours to bake scones. And boy oh boy did I bake scones. I made 3 different types, some better than others. 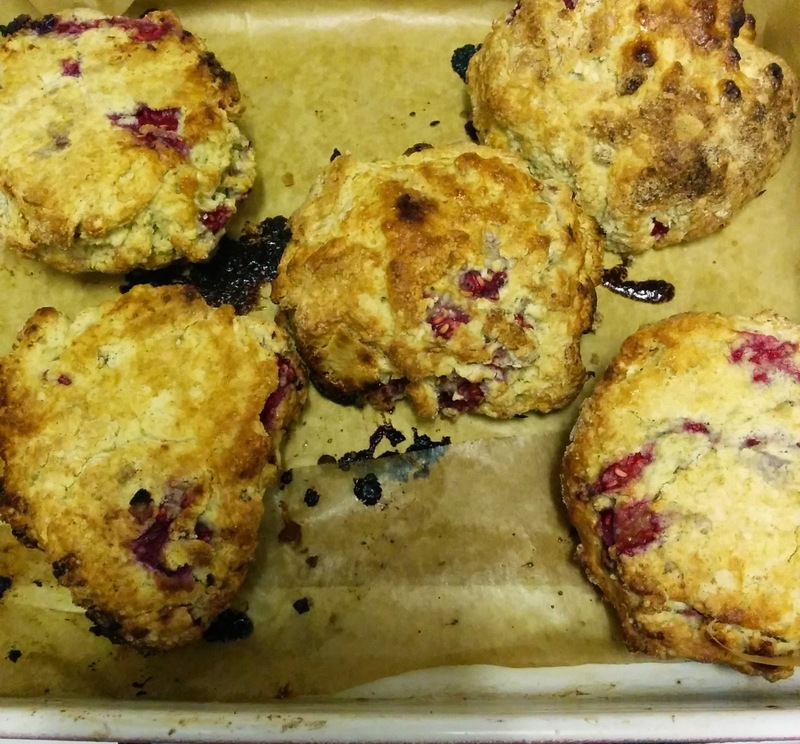 Today I’m going to share a good recipe for Raspberry & White Chocolate Scones. Raspberry and White Chocolate are just such good friends. As always excuse the photographs – still using my phone! Preheat your oven to 220 degrees and line some baking trays with parchment paper. Weigh out your flour, baking powder and butter into a bowl. Rub the flour into the butter until all combined or until it looks like breadcrumbs. Throw in your sugar and give it a mix. Wash your raspberries and gently dry them using kitchen towel. Cut your raspberries into quarters and try them again. 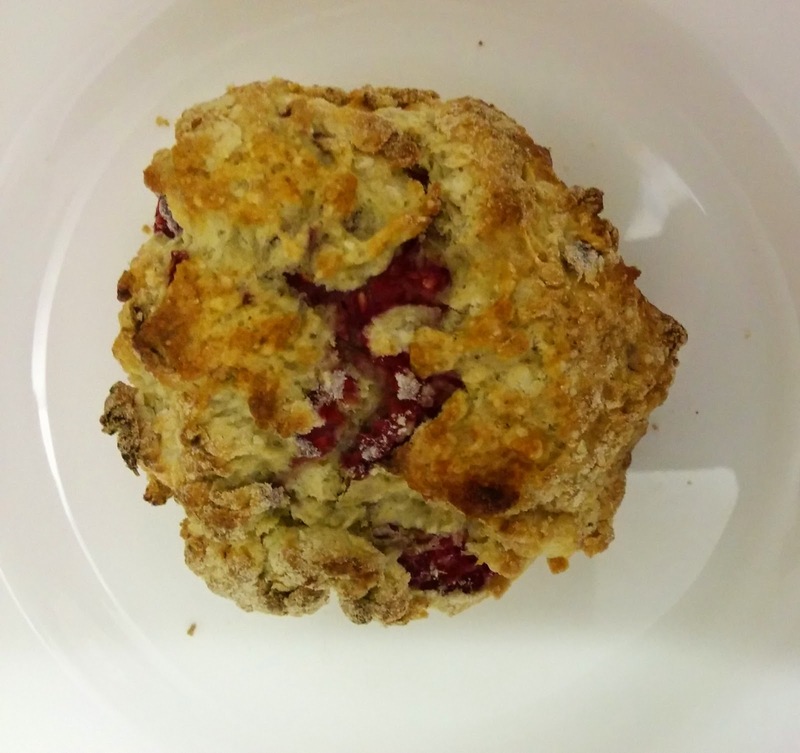 You don’t want the raspberries to get squashed when you’re handling them or else your whole scone will look pink. Be gentle with them. Once you’re happy with the size of the berries, add them to your flour/butter and gently incorporate them. Chop your chocolate into little squares. You don’t want them to be too small though as white chocolate melts and loses shape so easily in the oven. Add this to your main mix too. Scrape out the seeds of your vanilla pod and add it in a jug to your milk and eggs. Beat until just mixed. Pour this into your dry ingredients, bit by bit and gently mix. Be gentle, remember the raspberries shouldn’t be crushed. Leave a tiny bit of the egg mix out so you can brush the top of your scones with it before you put them in the oven. Now, I have made a lot of scones and am always trying new techniques to try and get them to rise more, or be fluffier or whatever. Usually scone recipes tell you to use a cutter to shape your scones. Try this way instead: once your dough has come together, gently lift it from your bowl and place on a floured board. Shape into a rounded shape with your hands and press down to flaten to roughly an inch high. Next, cut the dough like a clock into triangles. Lift each triangle and gently use your hands to shape into a round scone. Place on your baking tray and brush the top with egg. Add another bit of sugar to the top here if you like. Bake in your oven for about 15 minutes. The scones should be lovely and golden but watch your white chocolate doesn’t melt and burn too much. Enjoy with some butter and jam straight from the oven. Delicious! Let me know if you think cutting the scones in this way makes any difference to your bake! Previous Post You drive me nuts. Next Post Sometimes I wake up early..